The Löwchen as a breed has a long history. We know from works of art depicting images of small dogs in a very distinctive lion trim, that the breed dates to the 14th century. 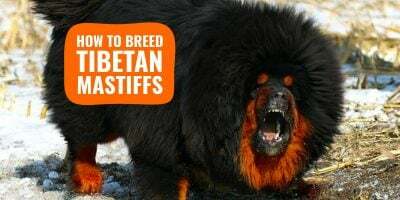 The breed is depicted throughout the centuries in paintings, block prints, wood carvings, line drawings and tapestries. There are several theories on the origin of the breed. One theory holds that the breed originated in the low countries of Europe now known as Germany, Belgium and France. In this area the Löwchen was thought to be tied to the breeds that were the forerunner of the modern day poodle. Another theory is that the Löwchen originated in the Mediterranean region and are directly related to the Bichon type breeds of that area. The Löwchen has also been set in Russia and the region that is now Tibet. All we truly know is that the breed has survived to emerge as they are depicted in the arts. The Löwchen has been the resident of all manner of households through the ages, from castles to the most ordinary farmyards and cottages. Aside from their primary function as a companion they were most likely great vermin hunters and fierce little guards of the hearth and home. Folk tales surrounding the Löwchen add a charming side to their history. It is said that the Löwchen were a sort of living hot water bottle. The trimmed area would go under the covers for warmth and the furry part would attract the fleas out of the beds and away from the people. Another legend suggests that if a knight died in battle, a lion was carved at the head of his tomb. If he died at home, a Löwchen was carved at the foot of his tomb. The story of Bijou, while basically true, has also added to the charm of the breed. In the late 1700’s , Bijou, a parti-color Löwchen lived in a castle in Weilburg, Germany on the Lahn River. The story goes that Bijou, through extreme loyalty to his beloved master, jumped from a window 60 feet above the river rather than be left behind when his master went off on a hunt. Mdm. Bennert is a savior of the Lowchen breed. She devoted her life to them after WWII ended. Two endings to the story are offered. One ending says that Bijou survived the jump and was rewarded by riding to the hunt on his master’s saddle. The other asserts the jump ended in disaster. Whichever ending is true, Bijou became famous. His life size portrait, completed in 1787 still hangs in the baroness’s bedroom in Weilberg Castle. Bijou’s devotion, loyalty and fearlessness are very much evident in the Löwchen of today. 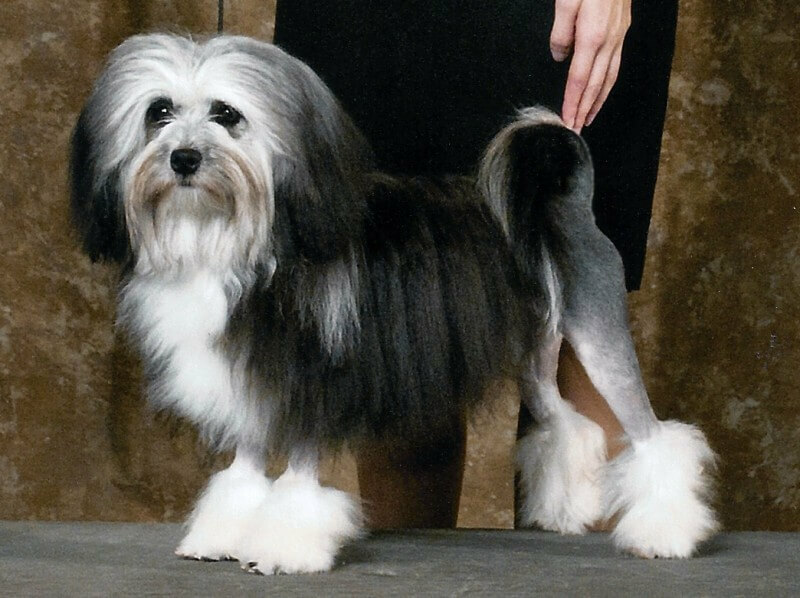 The first record of a breeder and fancier was a Dr. Walthier in the early 1800’s in Germany. In 1897, Maximillion de Conick sold Madame Bennert her first Löwchen. 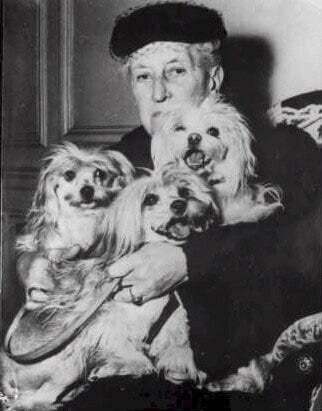 Madame Bennert would become recognized for her efforts to save the breed. During World War II, the devastation of Europe proved disastrous to many breeds, the Löwchen included. In 1945, Mdm. Bennert began an exhaustive search for the few remaining Löwchen in Belgium in an attempt to preserve the breed. Dogs from Mdm Bennert’s kennel were obtained by Dr. Hans Rickert in Germany. His Von de Drei Lowen are behind every Löwchen of today. Through the heroic efforts of Mdm Bennert, Dr. Rickertt and a few others the Löwchen began to spread throughout the world. Löwchen arrived in the United States from Great Britain in 1971. The Löwchen breed was officially recognized by the American Kennel Club in January 1999 and is shown in the Non-Sporting Group. Celeste, a beautiful Lowchen from MusicBox Bichons & Lowchen. 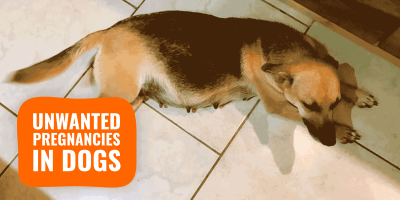 Although known to be a healthy, hardy breed, some problems have been found. Progressive Retinal Atrophy (PRA) is a genetic eye disease that affects the breed. This disease causes gradual blindness to affected animals, while carriers are not affected. There is currently no DNA marker for this, but it is believed to be a “double recessive” disease. This means both parents must either be affected or a carrier. Reputable breeders will CERF test (a type of eye test) prior to breeding Lowchens and will make the results available to prospective buyers. Cataracts have also been found in the breed, but again with CERF exams done routinely, this problem has been lessened. Luxating patellas are known in most all small and toy breeds. Both parents should be OFA’d on their knees to clear them as having any issues. The Löwchen for the most part have small litters and sometimes the females are only in season 1 time per year as opposed to other small breeds that cycle every 6 months. Read our article on abnormal heat cycles for further information. Because of both of these facts, it is a bit harder to find a Löwchen puppy available. 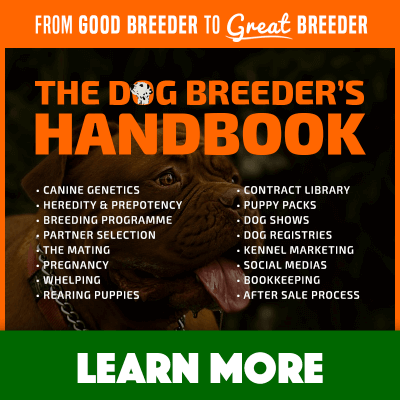 The best avenue for a potential pet home to take is to align themselves with a reputable breeder and then be prepared for a bit of a wait to get the right puppy. The Lowchen Club of America maintains a list of club members who have paid a fee to be included on the Breeder Referral List. 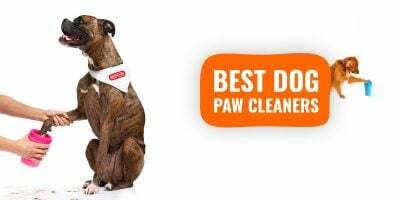 This list is a service but is in no way guaranteeing the quality of the puppies and dogs. As if the dogs have had genetics (CERF, OFA) testing and ask to see the results. Ask if you will receive AKC papers when you pick up the puppy. A dedicated Lowchen breeder will appreciate your concern and be happy to answer all of your questions. If your questions are not addressed in a helpful manner, perhaps a little more searching is in order. A puppy is a life time commitment. Take your time to find the right dog/puppy for you and your family. 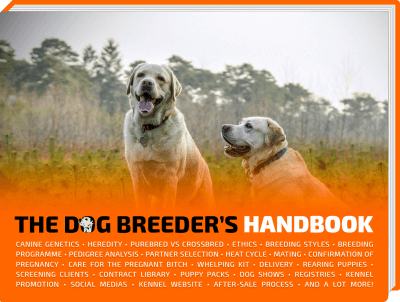 Article written by Donna Jones, from the Lowchen Club of America for Breeding Business. So many facts are wrong regarding the history etc.